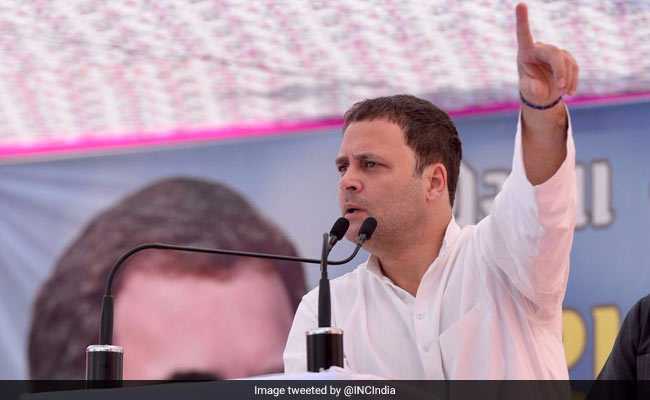 In his 10th question in the series ahead of the polls in the state, Rahul Gandhi targeted Prime Minister Narendra Modi on the plight of tribals in the state. New Delhi: Continuing his attack on Prime Minister Narendra Modi in the run-up to the Gujarat polls, Congress vice president Rahul Gandhi today questioned him about Rs 55,000 crore meant for tribal welfare. In his 10th question in the series ahead of the polls in the state, Gandhi targeted the prime minister on the plight of tribals in the state. "Migration has broken the tribal society, Modiji. Where have the Rs 55,000 crore of 'Vanbandhu scheme' gone," Mr Gandhi asked. "Snatched tribals land, did not give them rights over the jungle and lakhs of land ownership contracts have been held up. Neither did schools function nor did they get a hospital, neither house for the landless nor employment for the youth," he alleged on Twitter. The Congress vice-president is using the tagline "22 saal ka hisab, Gujarat maange jawab" (Gujarat demands answers for 22 years of BJP rule) for his offensive. Mr Gandhi has been using the microblogging website to pose daily questions to the prime minister about the performance of the BJP in Gujarat and its promises over the past 22 years of its rule in the state. The first phase of the Gujarat polls will be held tomorrow and the second phase on December 14. The votes will be counted on December 18.